eLab is a private consultant firm which provides technical consultancy to commercial, industrial, academic, defense and aerospace sectors. We provide electronic design consultant services as well as complete turnkey product development. We provide everything you need to develop your electronic technology based product or system. Please explore our website to learn more about our expertise & services our company provides, or contact the eLab representative to explore how we can help. We can quickly provide a rough scope of effort and schedule for your project so you can make an informed decision on how to proceed. Low electronic design costs, fast turnaround time and top notch quality. 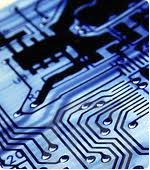 Do you NEED ASSISTANCE in High layer count PCB Designing? Do you have a unit manufacturing cost problem?